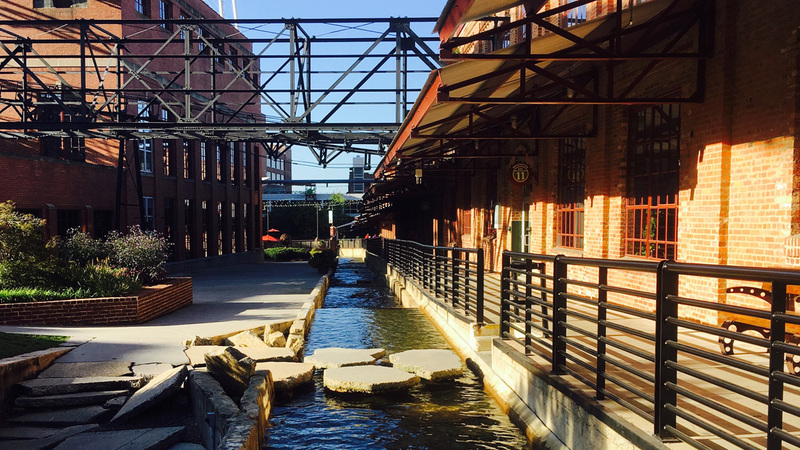 This former industrial complex in downtown Durham contains fourteen structures that trace the rich history of the tobacco industry in North Carolina from the 1870s to the 1950s. 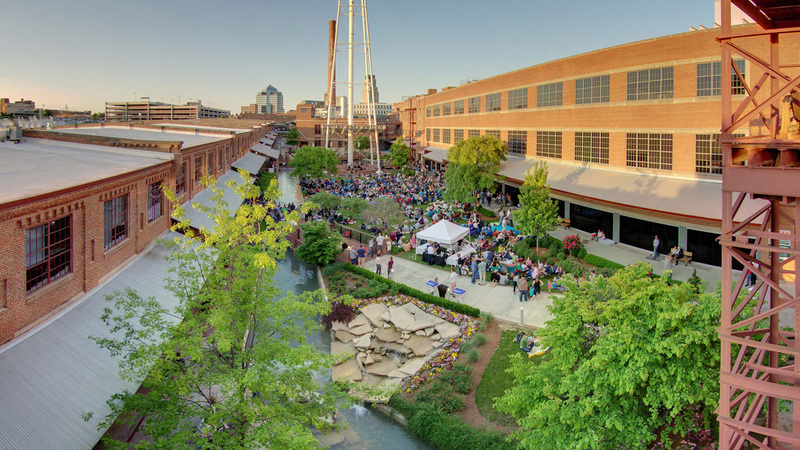 The 14.58-acre American Tobacco Company Manufacturing Plant (also known as the American Tobacco Campus), bounded by Willard, Carr, W. Pettigrew, and Blackwell Streets, comprises the core of the district, while the 21st-century Durham Bulls Athletic Park and Durham Performing Arts Center lie to the east across Blackwell Street. After serving in the Civil War, Washington Duke returned to Durham to establish a family business in tobacco manufacturing. In 1890 Duke & Sons merged with its four major competitors to become The American Tobacco Company, relocating to the Italianate W. T. Blackwell & Company Factory (constructed 1874) at what is now the district’s northern end. 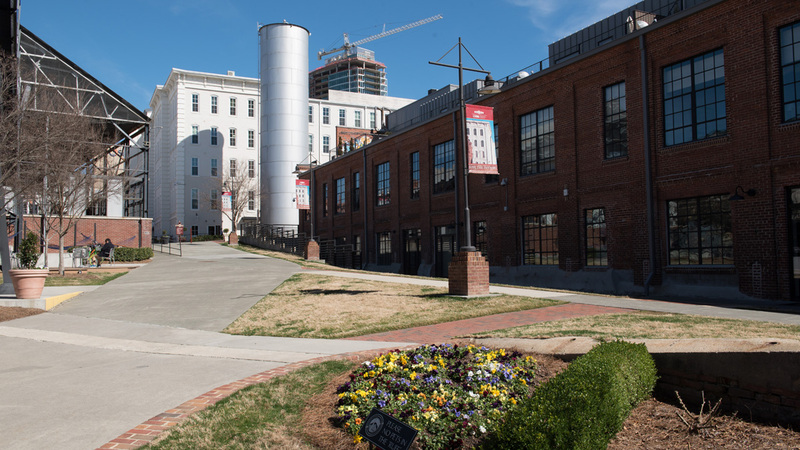 Further storage warehouses and tobacco production facilities were built throughout the early twentieth century, including the Lucky Strike Building (1901-1902) with its iconic smokestack. 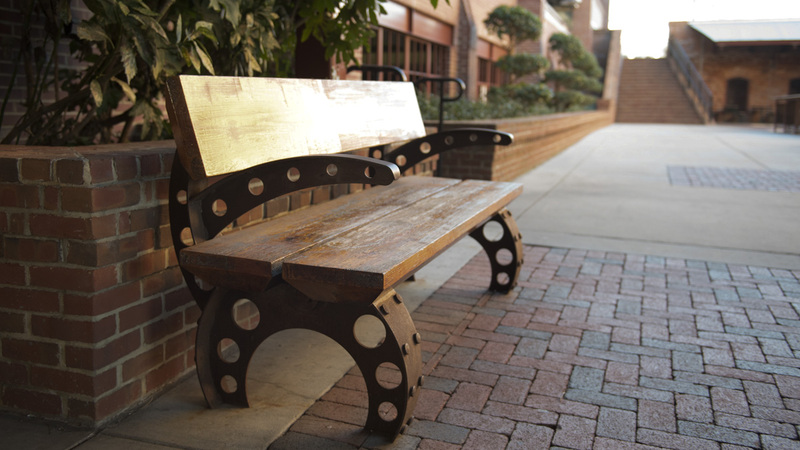 In 2001 the design firm Smallwood, Reynolds, Stewart, Stewart was hired to renovate the campus, which had shut down in 1987. 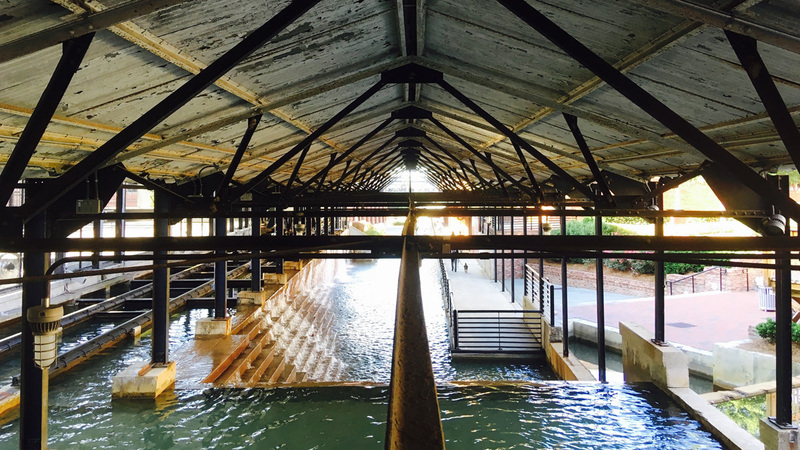 The firm added an artificial river that runs the path of the old train line, culminating in a multi-level pool surrounding the original water tower and a 2,500-seat outdoor amphitheater. 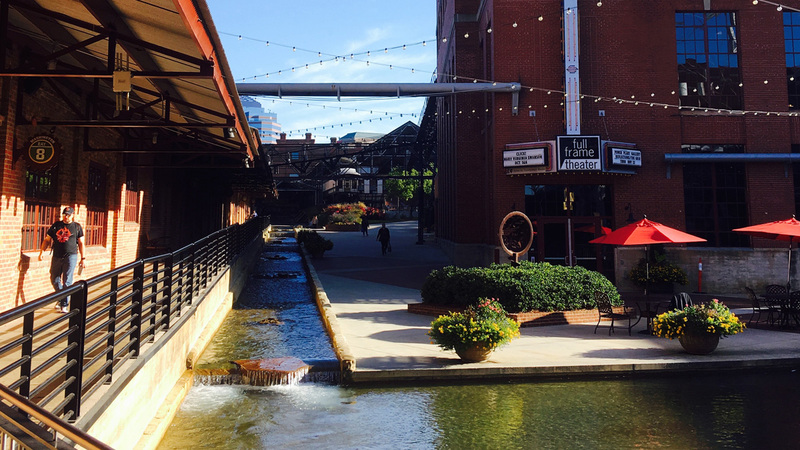 Formerly paved areas were planted with lawn and trees, ample outdoor seating was added throughout, and factory buildings were adaptively reused for housing, entertainment, retail, and restaurants. 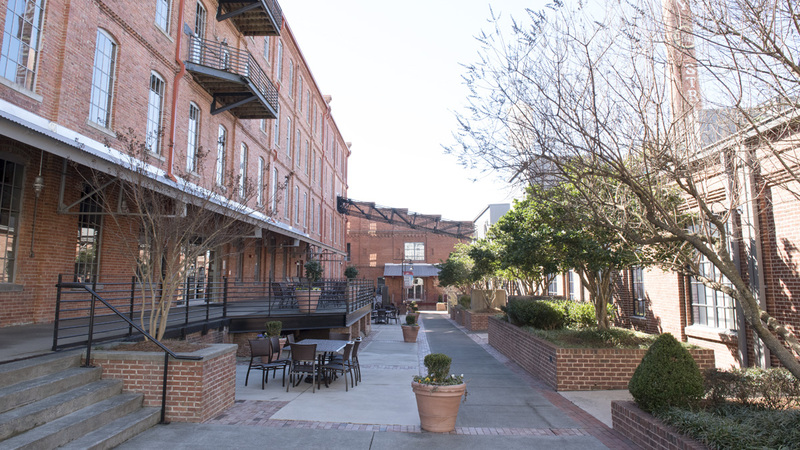 The W. T. Blackwell & Company Factory building was designated a National Historic Landmark in 1977, and the American Tobacco Company Manufacturing Plant was listed in the National Register of Historic Places in 2000.